Kayaking has indeed become one of the most favored outdoor sport of late for participants of all ages. For those who find themselves amidst the overcast skies of Seattle ready to engage in rewarding kayaking experiences, there are plenty of locations throughout the region for some of the best and most adventurous kayaking one could ever want to experience. The beautiful waterways in the Pacific Northwest are many, and the opportunities for kayaking whether alone, with friends, or with the whole family are ever so abundant. Offering the kayaking enthusiast some of the most extraordinary bodies of water with some of the most natural surroundings and picturesque scenery, Seattle presents with an array of beautiful waterways as well as thrilling adventures. Here are five of the best places for the kayaking enthusiast to experience their next excursion alone or with family. This unique destination allows kayakers to immerse themselves into Portage Bay and spend endless hours exploring the beautiful Seattle City views. 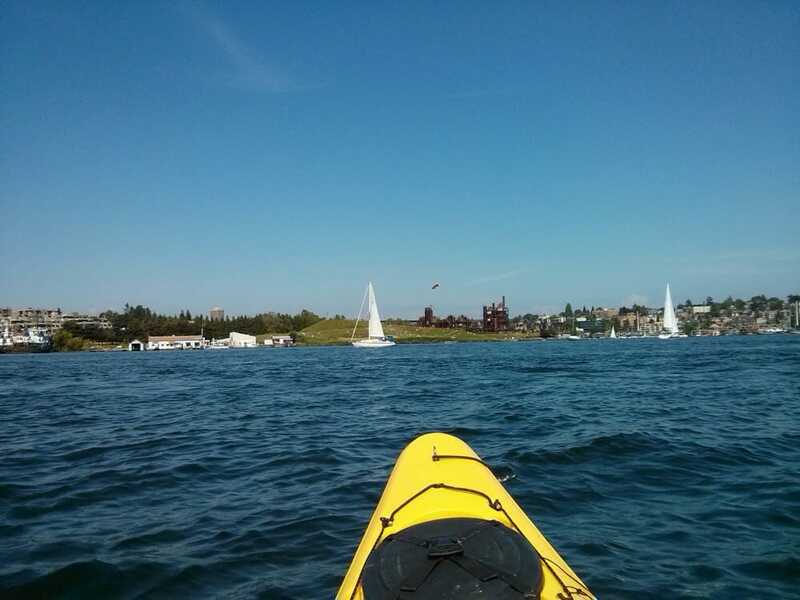 With extravagant houseboats along Lake Union or simply embracing the quiet serene lily padded waters that surround you, kayakers can delight in much of nature’s beauty and the tranquility of the atmospheres that are present. Paddling along these peaceful waters can only afford you the true peace and serenity of the cascading waters and endless calming sceneries. Moss Bay offers year round kayaking experiences near to the very heart of Seattle. Regardless of age, size, or skill set, kayakers can float and paddle for hours taking in the abundant sights. With the famous Paddle Board Center located here at Moss Bay, kayakers, whether home town folks or visiting travelers, can enjoy an array of special outdoor activities on the water both day and night. Kayakers can begin their journey at the marina and make their way out onto the splendid waters embracing all that nature and the downtown city views can afford them. With oars in hand and a peacefulness in their hearts, kayakers of all ages delight in this rewarding excursion and find themselves engulfed in so many of mother nature’s blessings. The kids will find themselves just as awed as mom and dad while paddling these tranquil waters and basking in the warm sunshine. This inspiring destination offers families a lineup of nature tours through Ballard Locks, Discovery Bay, and the Puget Sound. Paddling gracefully along these waters, kayakers are amazed at the beauty and essence of nature that surrounds them. For those who have no kayak of their own, Ballard Kayak is there to provide you with all the resources and equipment you need to experience some of the most tantalizing of adventures along the Bay and the Sound. Sitting comfortably aboard your kayak as you paddle the waters and breathe in the warm summer air, you will find nothing but charm and beauty all around you and create some of the most memorable moments to share and remember with friends and family alike. With launch sites located at Entai Beach Park, kayaker can partake in an adventurous paddle ride along Lake Washington, rowing on to the Mercer Slough wetlands. These unique wetlands are donned with abundant herons, otters, turtles, and an array of other unique wildlife. If wildlife and nature is what you are looking for, then indeed a Lake Washington adventure is the perfect fit for you. With kids in tow, you are all sure to experience some of the most amazing wildlife while immersed in the summer’s air atop the beautiful still waters of the lake and wetlands. For this fun-filled adventure, sit on top kayaks are perfect for embracing the unique wildlife while cooling yourself from a hot summer sun with the splashing waters of radiant Lake Washington. How exciting and educational this experience can be for the whole family. Paddling, splashing, exploring, and sightseeing all in one magnificent kayaking excursion that is sure to be something for the whole family to remember. 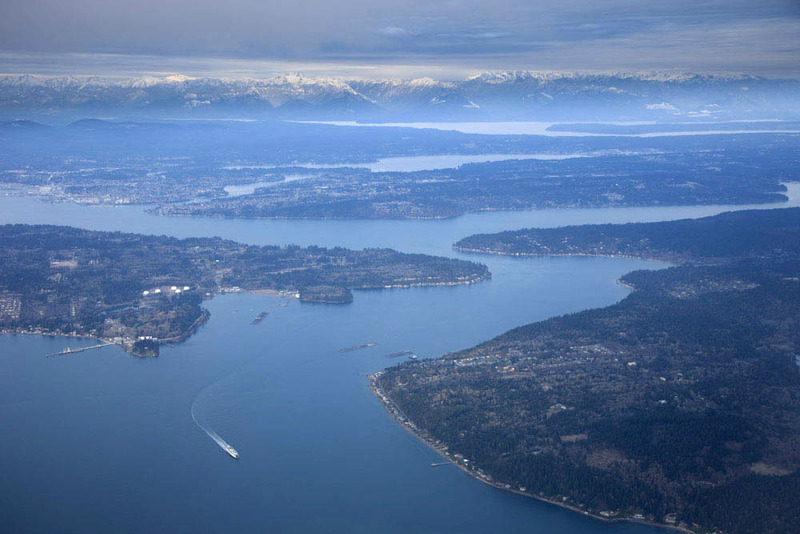 If gorgeous, breathtaking lake views are what you are in search of, then Lake Sammamish is the perfect place to be. This spectacular waterway offers amazing Northwest wildlife and truly the most magnificent of views. The kayaker who embraces the beauty of a serene sunset is sure to find the utmost pleasure in rowing quietly along the graceful waters as they take in one of the many extraordinary breathtaking sunsets over the water. No matter what your skillset level may be, this beautiful tranquil body of water offers anyone, of any age, the very best in wildlife and scenic views. If you are all about tranquil beautiful waters, surrounded by wildlife and breathtaking views of the Seattle City then indeed taking your kayaking adventures to any of these five Seattle destinations is sure to afford you and your family all that you set out to experience and behold. Kayaking is ever so peaceful in itself, and truly kayaking these waterways will certainly bring about special moments, adventures, and experiences that will not be soon forgotten.